By Brian Voo in Internet. Updated on January 22, 2019 . It’s harder to concentrate and remember things when you work online. There is so much to see, do, read, watch, follow, like, upload, download and.. you get the idea. Productivity can take a dip if you aren’t disciplined enough, which is unfortunately true for most of us. 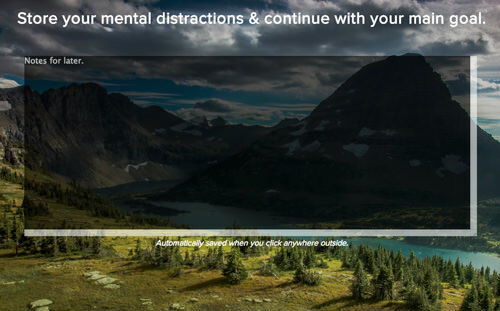 But if you cannot get of the Internet complete to get work done, what you can do is keep track of the time spent on websites with an extension like Limitless. 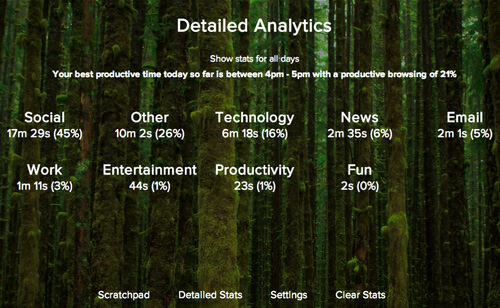 Limitless is a Chrome extension that automatically tracks the sites you’re on and logs the time spent on each website. It then categorizes the websites and lets you know if you’re spending too much time online shopping instead of being productive with work. 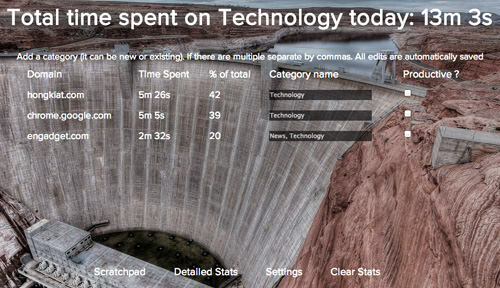 It also replaces Chrome’s default New Tab page with statistics displayed over beautiful and calming pictures. Let’s check out how Limitless works. 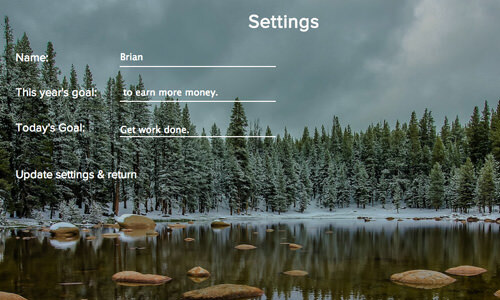 After installing Limitless on your Chrome browser, you’ll be asked to input your name and goals you want to achieve for the day and year. These goals will be occasionally shown to you when you open the New Tab page together with words of encouragement. Once you’ve updated these settings, Limitless will run on its own and begin tracking the duration you spend on each website. Limitless automatically categorizes the sites you visit and will give you a detailed analysis showing exactly how long you spend on that specific category. Note that due to its automatic categorization, sometimes a website that you frequently surf for work can be mistakenly categorized as something else and logged in as non-productive. Don’t worry thought because you can click on the categories and edit the predetermined categories to ensure more accurate tracking activities and better analytics of your productivity. This feature is helpful for social media marketers or digital marketers who have to spend time working on Facebook, Twitter and Instagram. Another feature that Limitless has is called the Scratchpad. Clicking it shows you a text box to quickly jot down notes or thoughts without worrying that it’ll be lost within one of the many productivity tools you have. Once you’ve entered some text in, clicking anywhere outside the text box saves it. 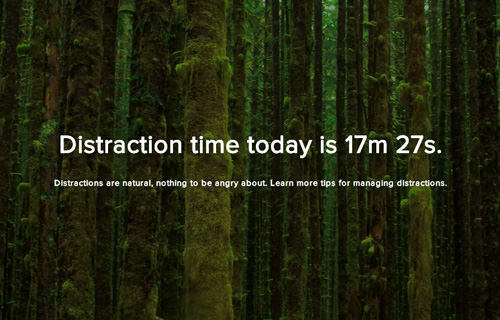 At the end of the day, you get a final count of how long you were distracted today and can read up on tips to manage distractions. Limitless is built with this generation’s attention span in mind. So if you know you need help handling your Facebook surfing habits, get this extension and start tracking where you spend your time online and adjust your online habits accordingly.